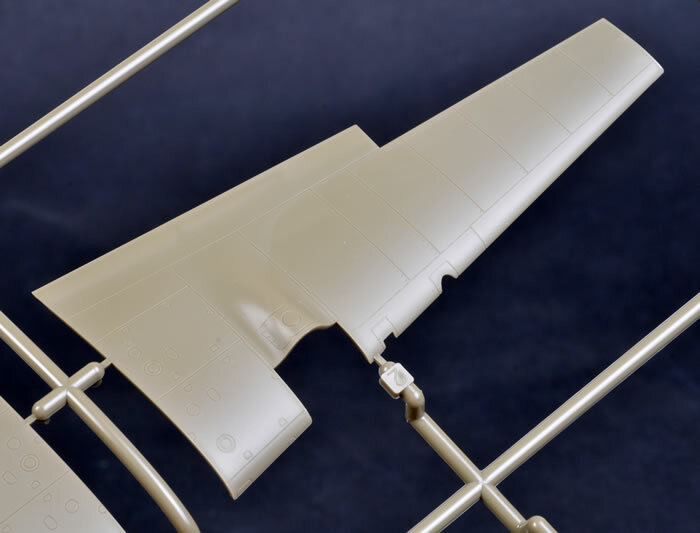 Advantages: Outstanding detail; excellent fit; thoughtfully engineered for easy construction; fine surface features including crisply recessed panels and subtle rivet lines where appropriate; includes colour photo-etched parts; separate canopy parts for closed/open pilot's cockpit; many options including two full sets of fuselages (standard and boat tail), various fuel tanks and ordnance; attractive marking options; very high quality plastic; narrow sprue attachments; includes Bf 110 E nose, main wheels and small tail wheel in addition to the parts for the C/D. Disadvantages: No open clamshell option. 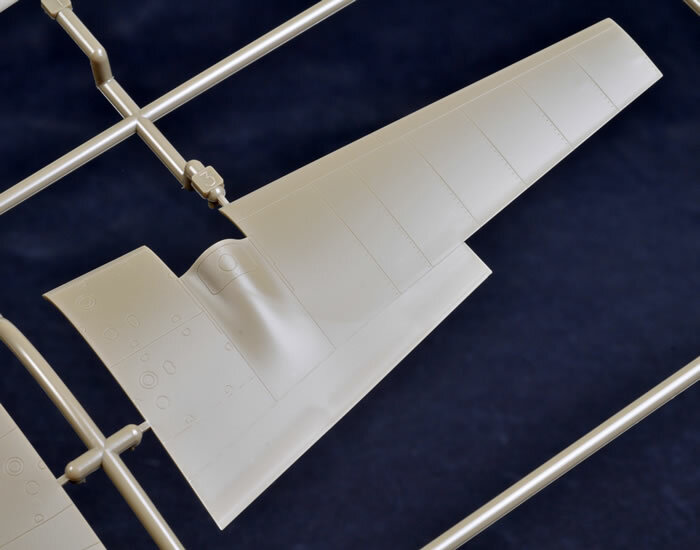 Conclusion: In common with the Bf 110 E from July 2012, Eduard's new 1/72 scale Messerschmott Bf 110 C/D is a beautifully detailed kit with class leading surface detail. Set aside any concerns about complexity. This is a viceless build with almost perfect fit. 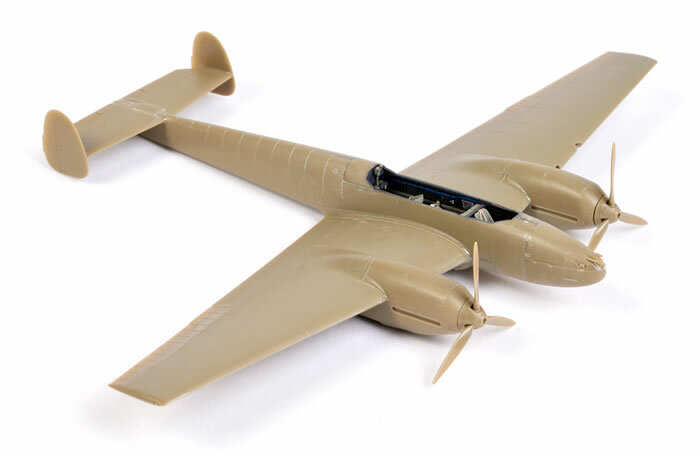 Eduard released the first of their 1/48 scale Messerschmitt Bf 110 family back in September 2007. 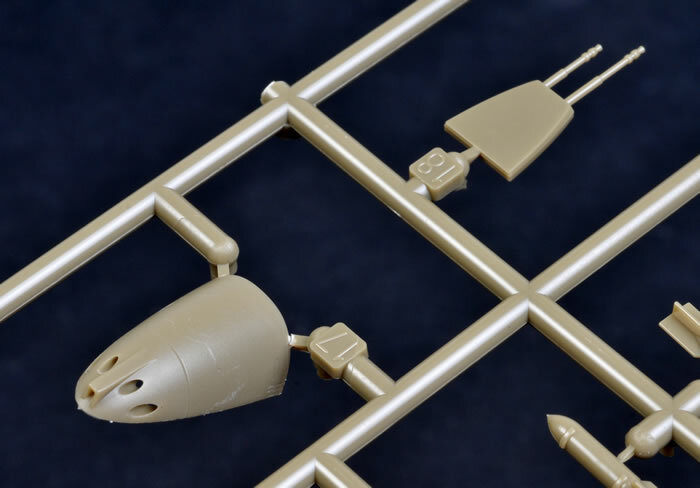 The kits are very well detailed and feature class-leading surface detail; with plenty of useful options and attractive decals. They also have a reputation of being tricky to build. 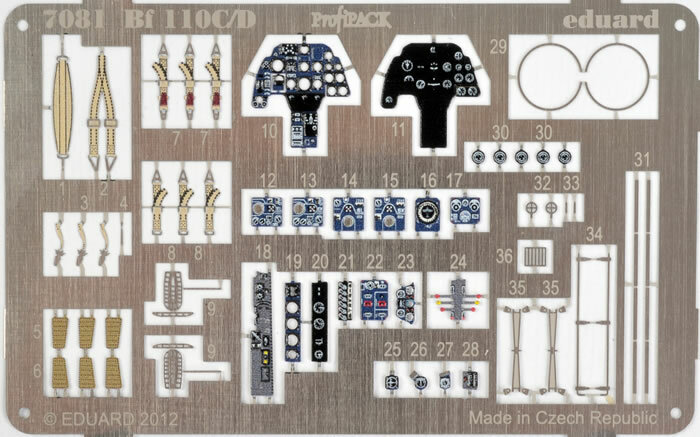 Eduard clearly took a good hard look at the engineering and parts breakdown of those 1/48 scale kits and made some changes when they were designing their 1/72 scale Messerschmitt Bf 110 family. 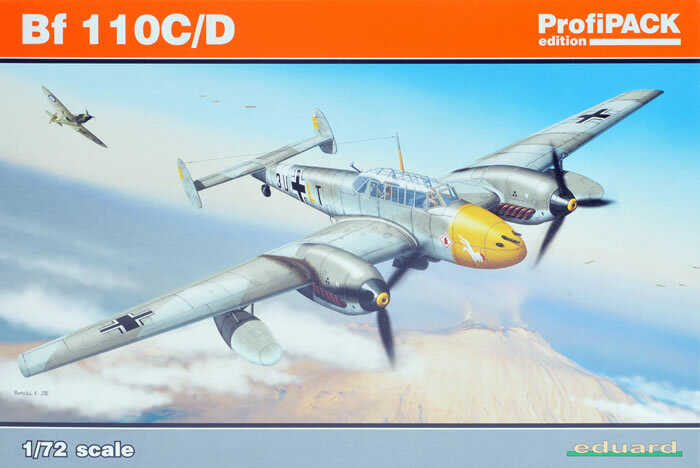 Eduard released the first of their 1/72 scale Bf 110 family, the Messerschmitt Bf 110 E, back in July 2012. I could not resist starting the model straight away. In a few hours on the same afternoon the kit was delivered, I had put together the various cockpit sub-assemblies, and by the same time the next day I had completed basic construction. 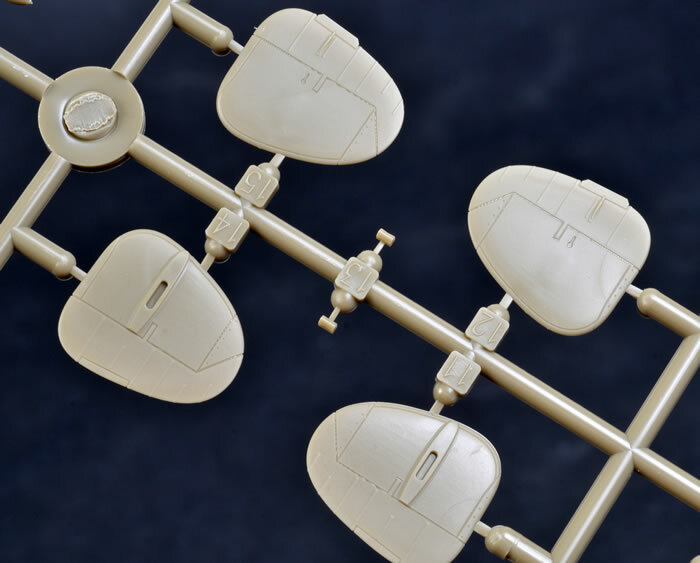 The fit of all the major and minor parts is brilliant, and building the model was a very enjoyable experience. You can forget any preconceptions you might have about the 1/48 scale kits - this one is viceless. 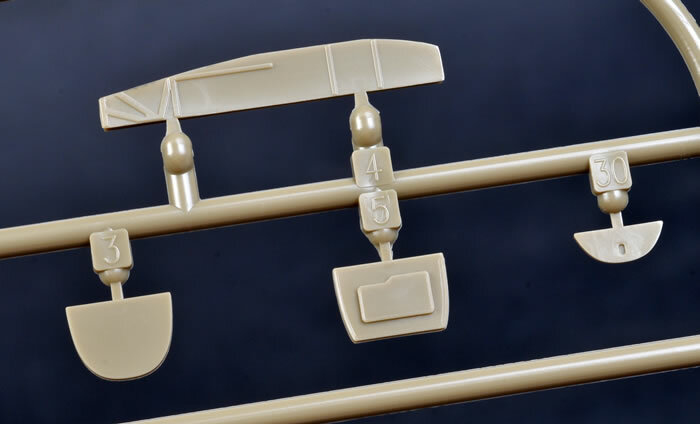 The plastic in the box of this new 1/72 scale Messerschmitt Bf 110 C/D kit is the same as the Bf 110 E, so the superlative building experience should be just as good. The main differences between this and the initial release are five new marking options and a revised colour photo-etched fret. 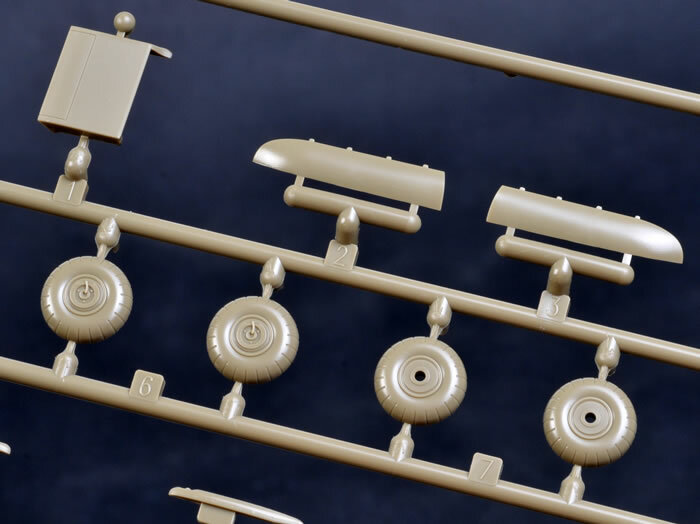 Eduard's 1/72 scale Messerschmitt Bf 110 C/D comprises more than 160 parts in olive coloured plastic and 13 in clear. 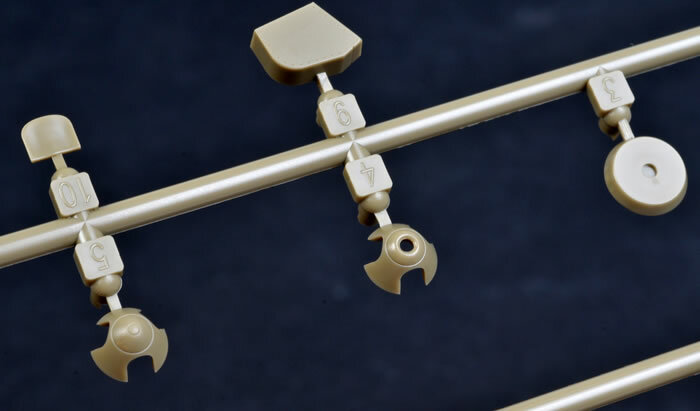 Keep in mind though that the total parts count includes 45 parts not for use with this version, and a number of additional optional parts too. A colour photo-etched fret provides instrument panels, harness straps and smaller details, while the usual Eduard mask is also supplied for the complex glasshouse canopy framing. 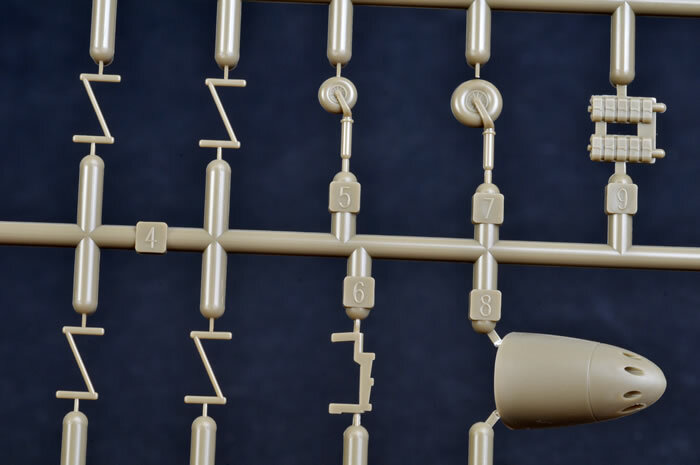 The olive coloured plastic parts are attached to seven sprues via fine connectors. 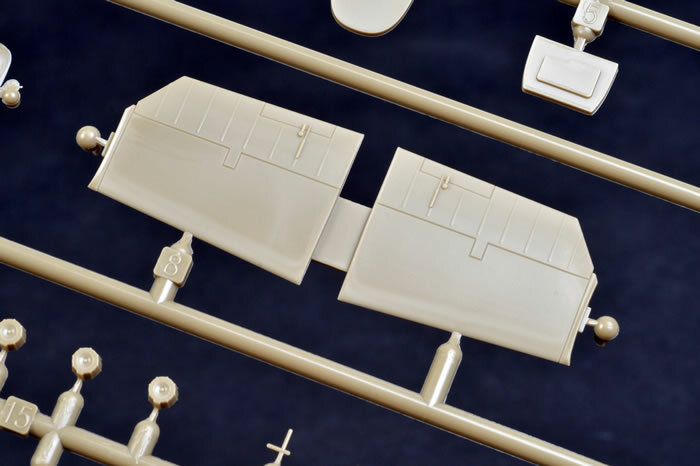 Moulding quality is superb. I could not find a single sink mark or ejector pin in any area that will be visible on the finished model. Crisply recessed panel lines are partnered with incredibly subtle rows of rivets. I like the treatment of the fabric control surfaces too, with delicately raised rib tape and no sagging in between. The fuselage is broken down into the main halves with a separate nose (upper and lower) plus an insert for the deck immediately aft of the cockpit. 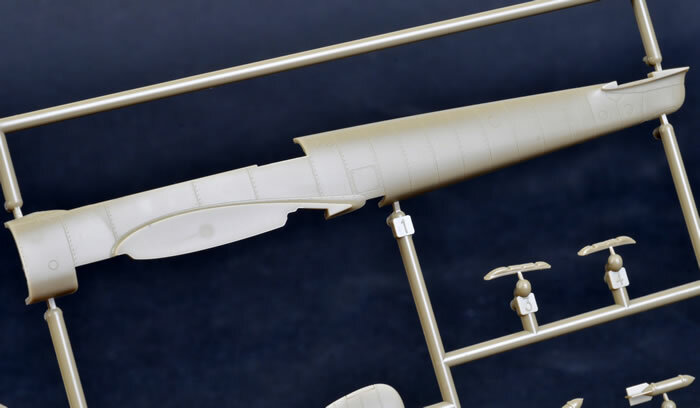 As standard fuselage is supplied along with a separate longer fuselage with the boat tail moulded in place. 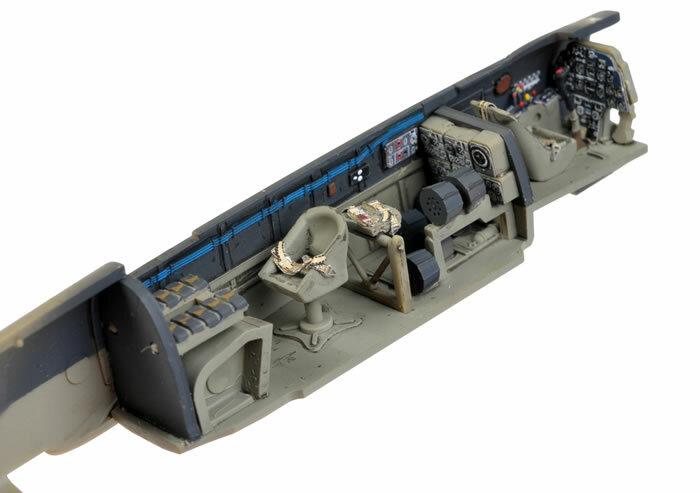 The cockpit is beautifully fitted out with a combination of fine plastic and colour photo etched parts. 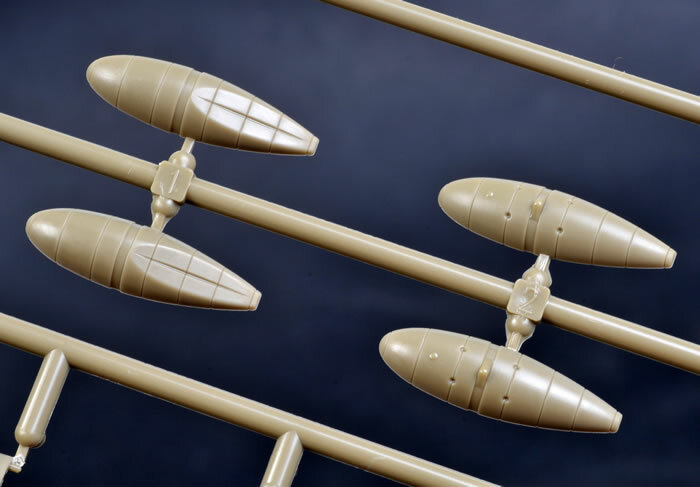 Seven spare ammunition drums are provided for the underfloor MG FF cannon, although the instructions only indicate the location of four. The photo below shows where I fitted all seven. 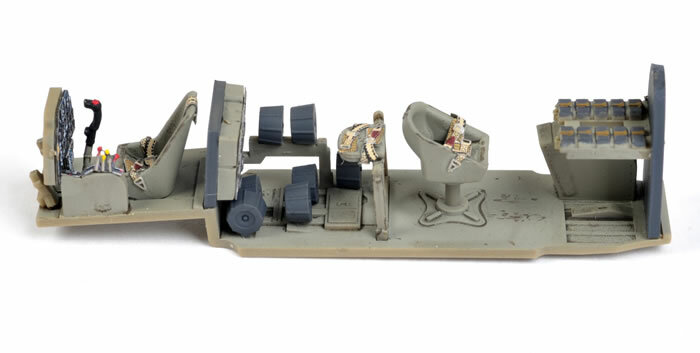 The rear gunner's may be posed facing any way you like, while the navigator's seat may be glued up or stowed. 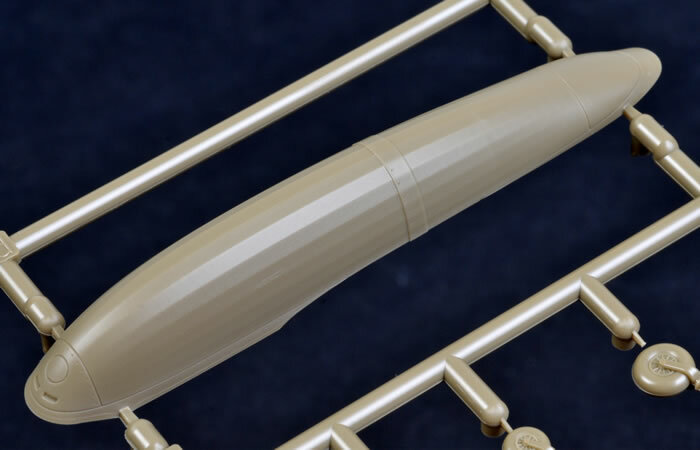 The nose is designed to be closed, with the four machine guns cleverly arranged over two levels to allow the barrels to poke through in a staggered pattern. 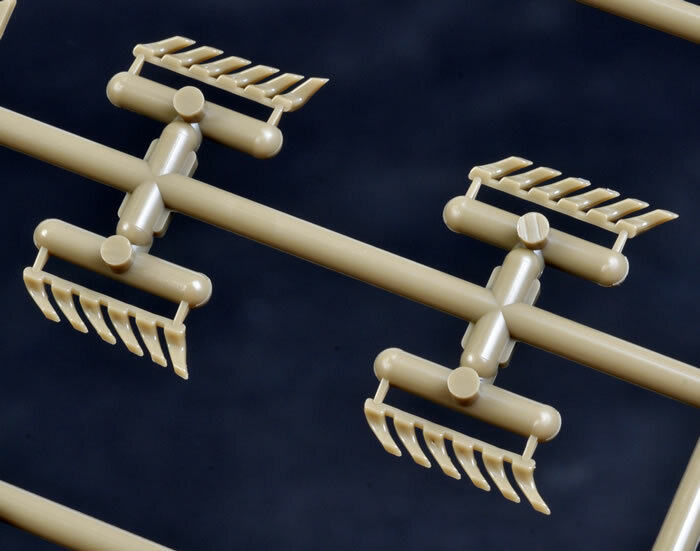 Ailerons are provided as separate parts. 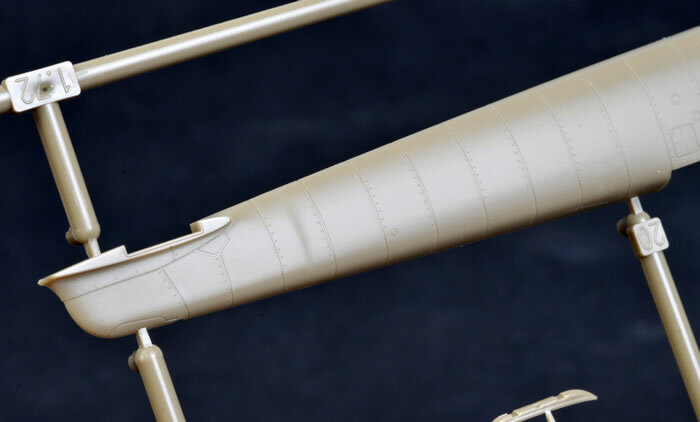 Wheel well detail is moulded to the bottom of the wing and the inside of the nacelle parts. 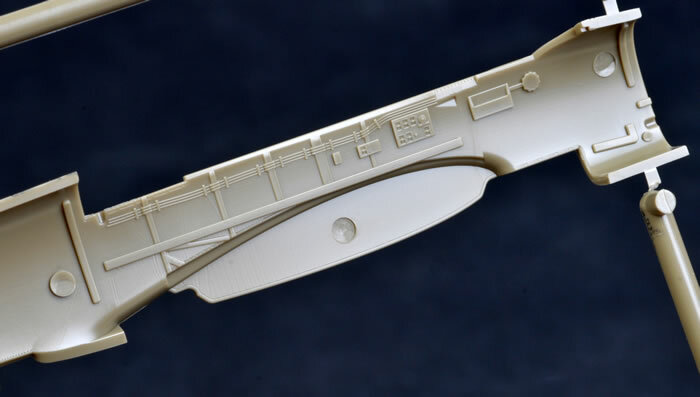 If you want to add more detail, Eduard has released a photo-etched fret that supplies the individual ribs inside the wheels wells. The main undercarriage legs are quite stout, with two locating pins to ensure correct positioning. Optional plastic and photo-etched oelo scissors are offered. 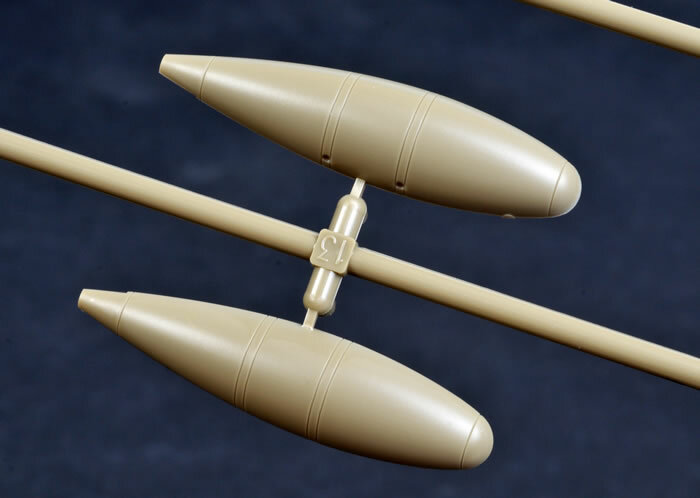 The main wheels are the correct style for the Bf 110 C/D, but a second set with larger hubs is also included for the Bf 110 E. Similarly, both large and small tail wheels are offered, and top machine gun cowls both with (for the E) and without (for the C and D) the rectangular intake. 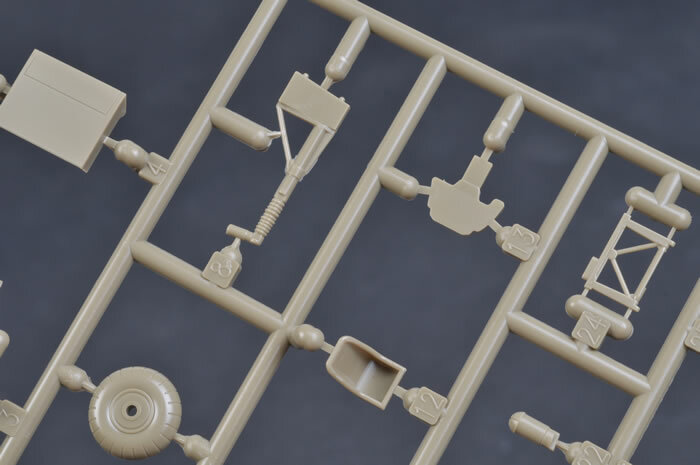 In fact, all the plastic parts required for a Bf 110 C. D or E, including options of 300 litre drop tanks, 900 litre fuel tanks, the small fuselage oil tank and even the huge Dackelbauch fuselage tank, are supplied on the sprues. 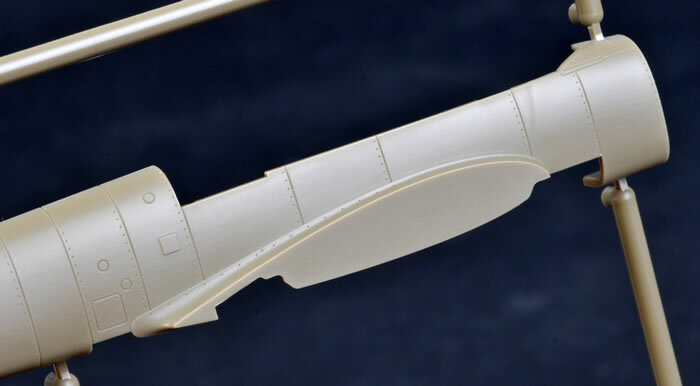 The shape of the spinners looks good, and the prominent pitch collars are moulded near the base of each propeller blade. These should be clearly visible when the propeller assembly is complete. The exhausts are moulded as six-stack units, making assembly quite simple. 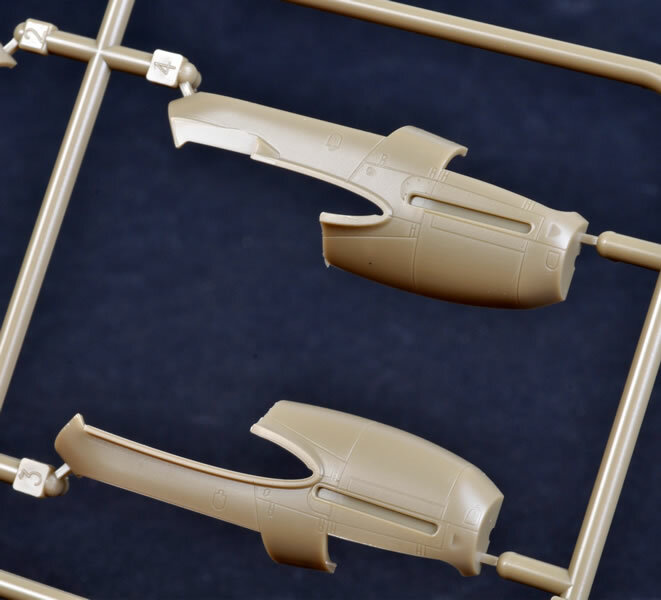 Clear parts are thin and well moulded. 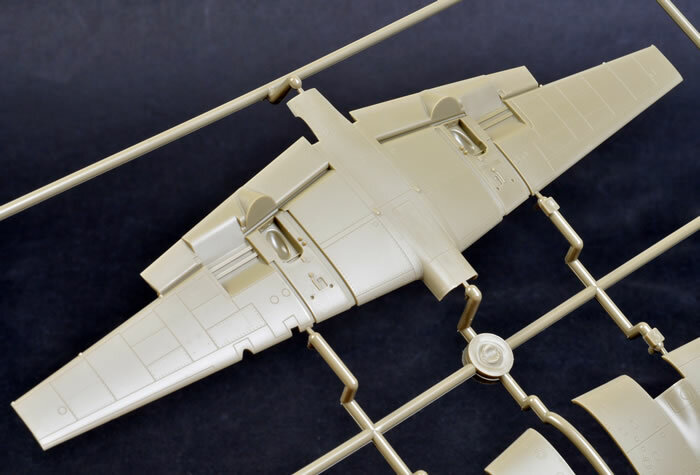 The side and top canopy parts are individual pieces to permit posing in the open position. The rear clamshell is moulded shut. 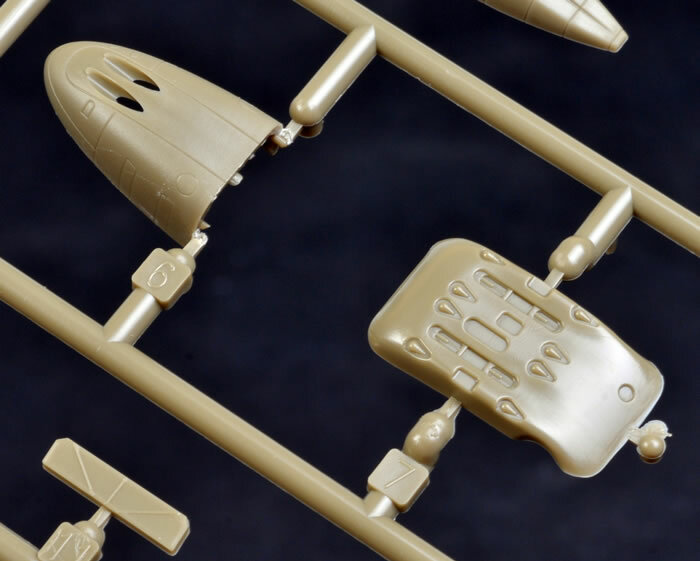 Presumably, the challenges of moulding an open clamshell were too great in this scale due to the thickness of the plastic. 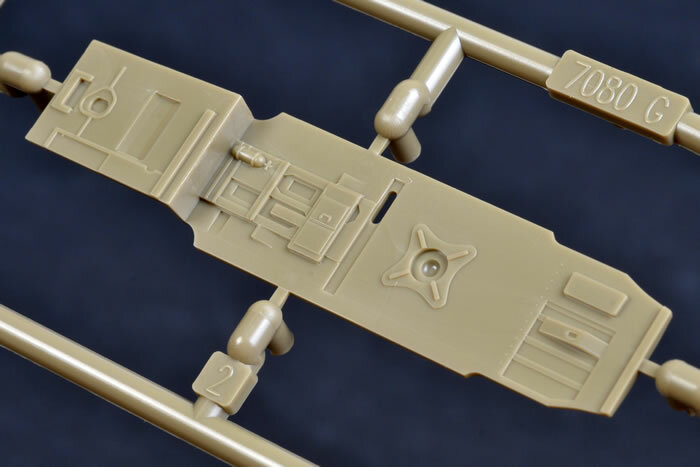 It is interesting to note that the Bf 110 F and G style canopies are also included on the clear sprue. 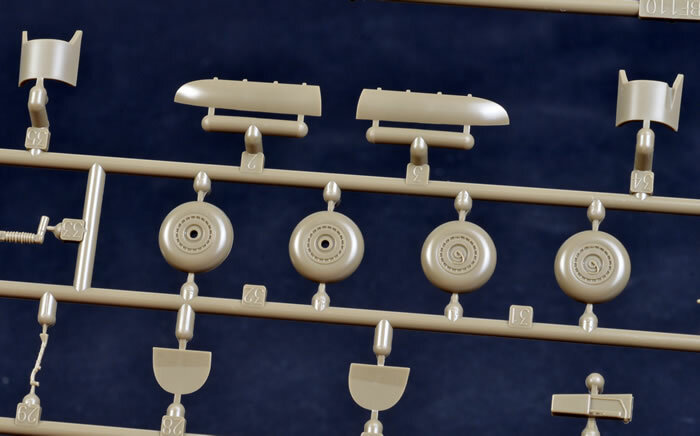 These even offer the option of holes for the upward firing Schrage Musik cannon. Now that is something else to look forward to! 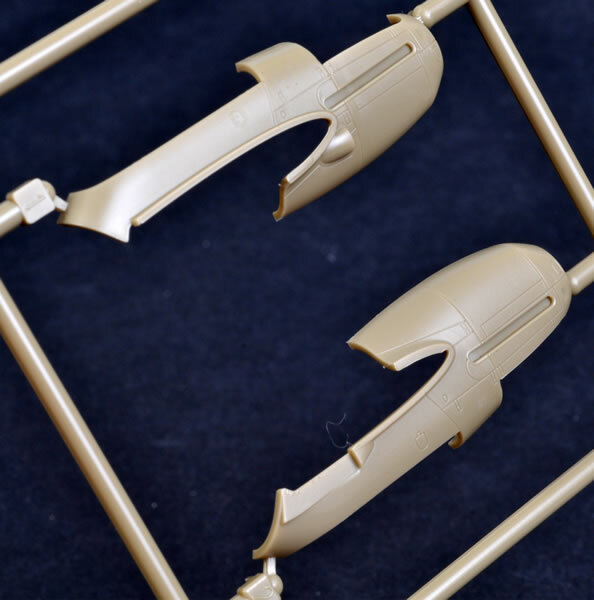 Eduard masks are also included to ease the pain of painting that maze of canopy frames. Markings for five varied options are included. The decals are well-printed and in register. Stencil markings are included. I was pleased to see this 1/72 scale kit packed in a box with a separate lid. 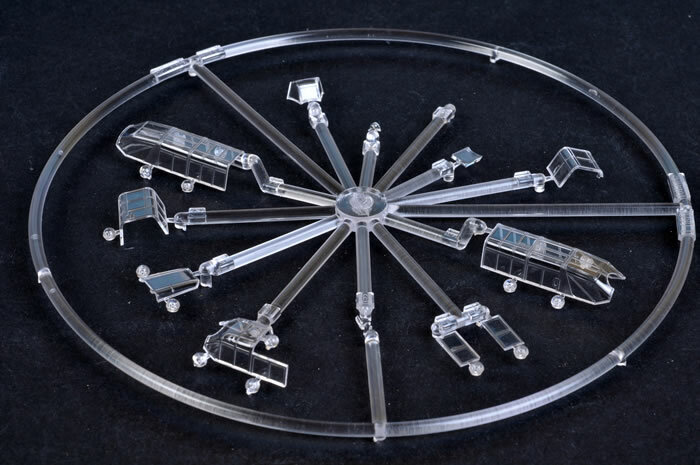 These are much sturdier and give better access to parts than a side-opening box. 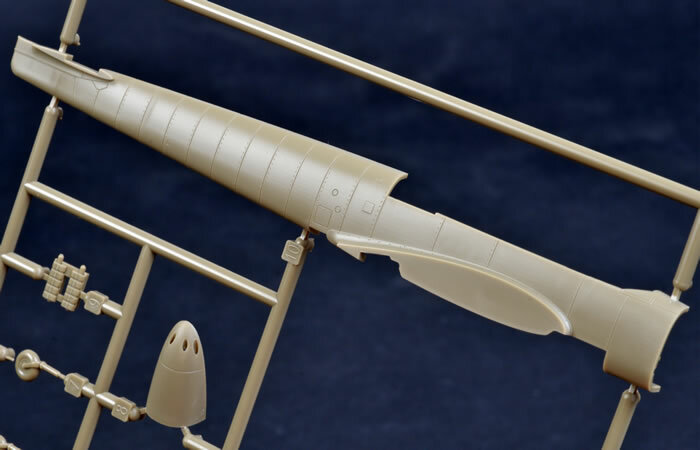 There has hardly been a shortage of 1/72 scale Messerschmitt Bf 110 kits over the years, but none of the mainstream offerings were really worthwhile until Airfix released their new-tool Bf 110 E two years ago. 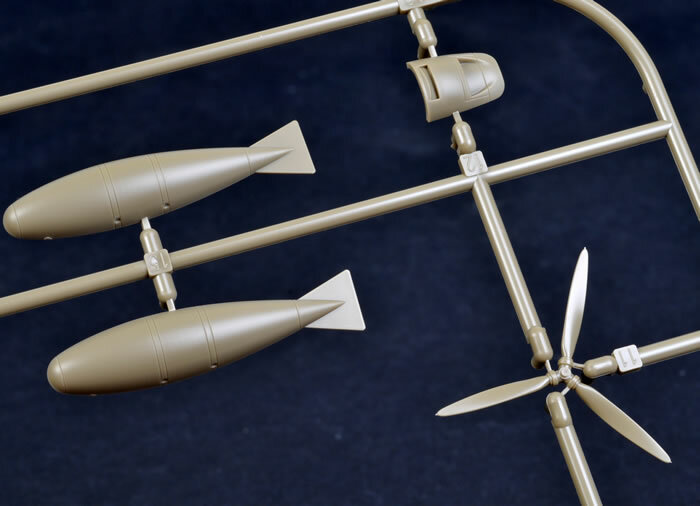 The Airfix kit is generally accurate and simple to build, but it does suffer from deep and heavy panel lines and a thick, one-piece canopy. 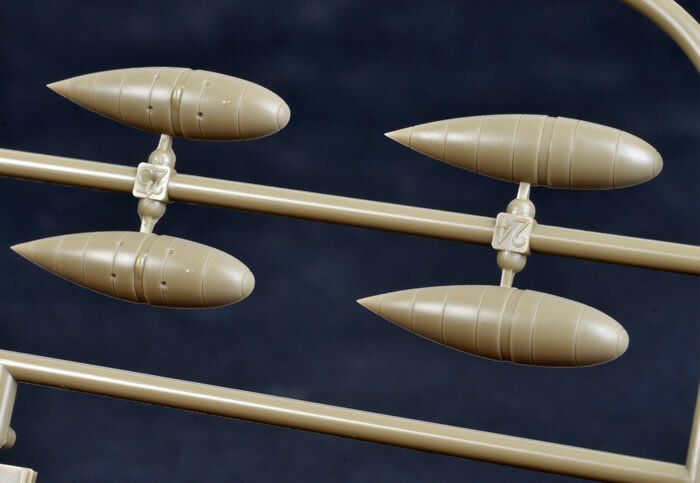 Eduard has now snatched the mantle of "Best Bf 110 in 1/72 Scale" from Airfix. Eduard's kit is really in a different class in terms of overall detail and surface textures. 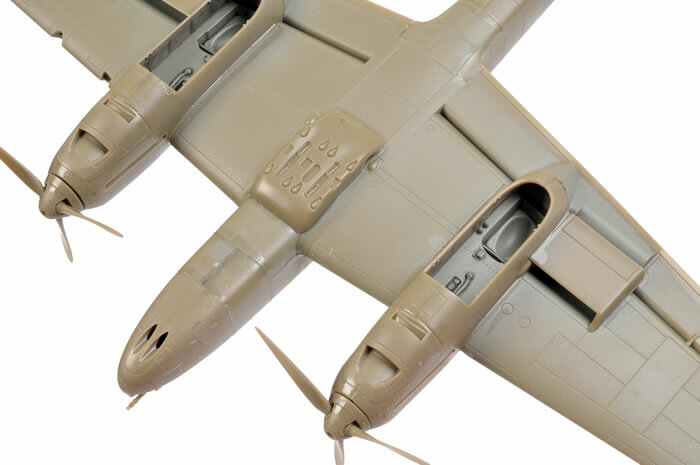 In common with their 1/72 scale F6F Hellcat kits, Eduard's new Bf 110 is also a pleasure to build. 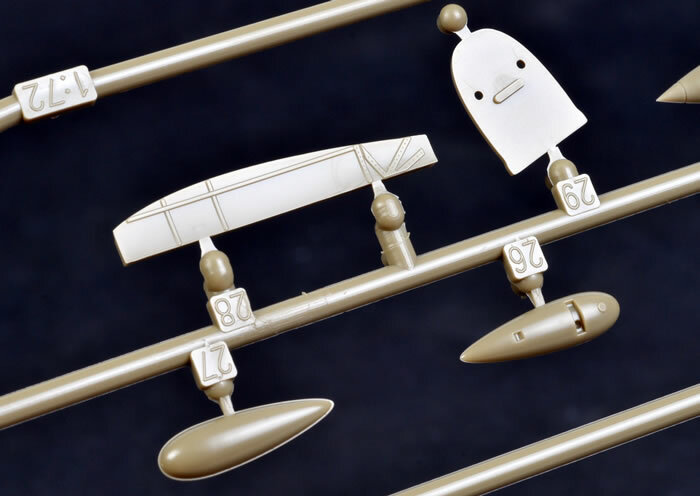 There are some very small parts in the cockpit, but the vast majority of modellers will be able to deal with these. 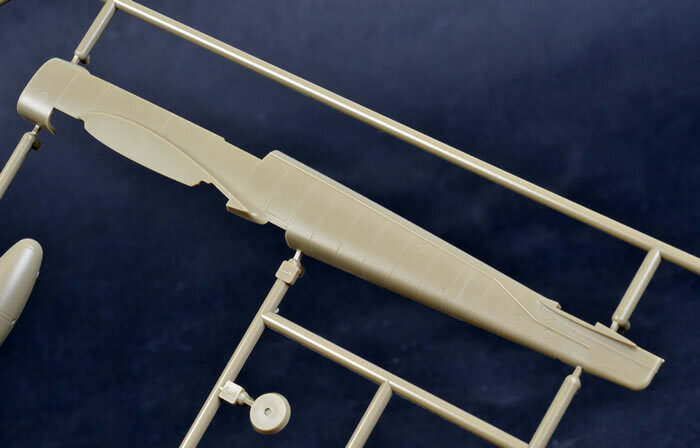 The major parts of the kit fit flawlessly, and the traditionally challenging areas such as the nacelles, the gun nose, the undercarriage legs and the wheel wells, are engineered for ease of assembly. 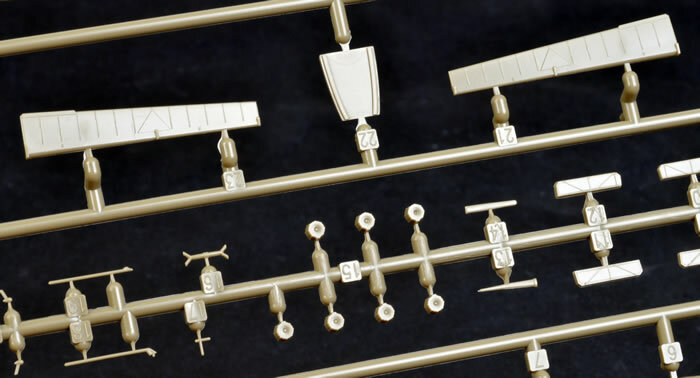 Thanks to its compact size and ease of assembly, you'll be able to build an entire Staffel of Eduard's new 1/72 scale Bf 110 Cs, Ds and Es!